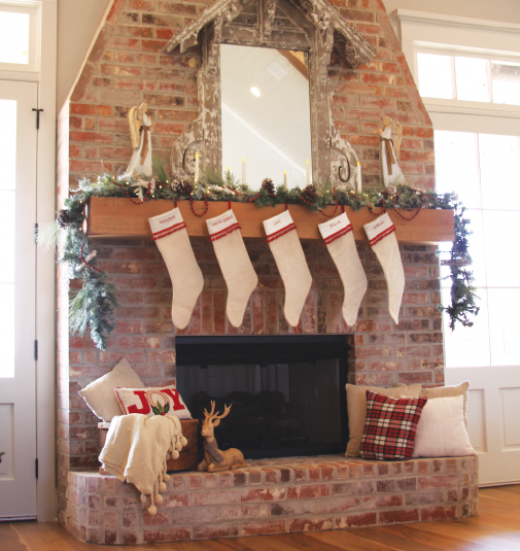 Quota International of Bossier’s Christmas Tour of Homes will take place from 1-5 p.m. on Sunday, Dec. 2. These beautiful properties, decked in their holiday finest, will be featured as part of the celebration of the Quota Club's 25 years of tours. Tickets are $20. Featured on these pages is the stunning home of Chuck and Jamie Beverage located in the Willow Creek neighborhood in Benton. This modern farmhouse oasis is overflowing with charm from its stunning architectural design to the fabulous and inviting Christmas decor. 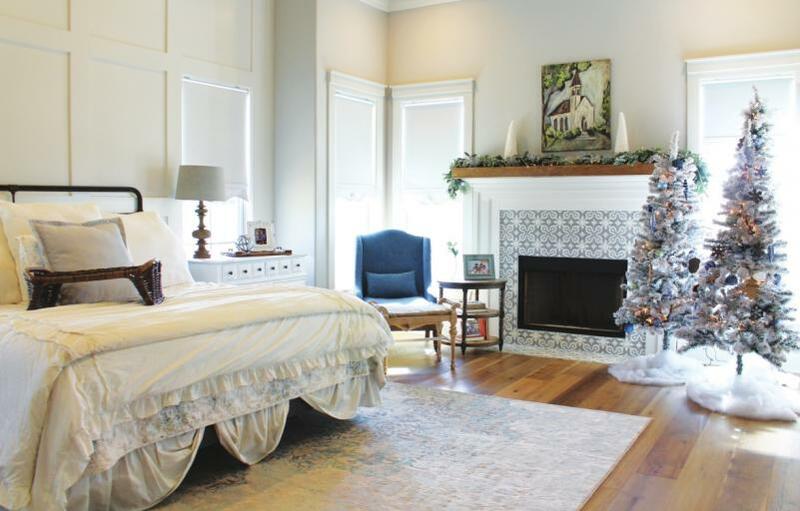 Enjoy beautiful homes decorated for Christmas, gather some ideas for decorating and as is so important, support the community service work of Quota. Enjoy spending this day to get together with friends, have lunch, get in the Christmas spirit. Long-time supporter and Quota member Rosemary Patterson will serve refreshments to her guests at 216 Jasmine Walk in Bossier. Tickets are available for purchase from Chairperson Cathey Crow at 675-9832, or Quota Club President Renee Revera by calling 347-6310. Tickets are also available at all the houses on tour. Welcome to the home of Chuck and Jamie Beverage, located on Willow Bend Road in the Willow Creek neighborhood in Benton. This beautiful modern farmhouse design rests on 2.5 acres, and the build was completed in June. Building and designing are nothing new for Chuck and Jamie Beverage. Chuck is a general contractor and owner of Beverage Building and Remodeling, and Agape Pools and Outdoor Spaces. 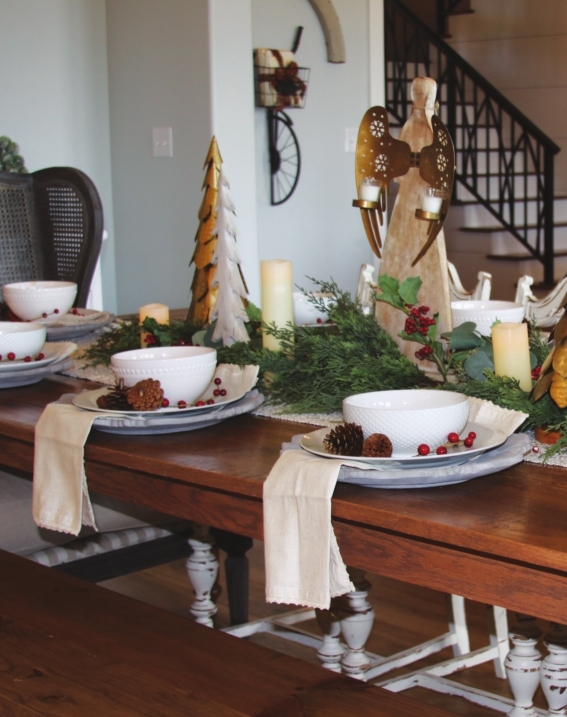 Jamie, an interior decorator, is the owner of Doxology Design Co. This house was designed and built from the ground up by by the design-duo taking every detail into consideration. Christmas is a favorite time of the year for the family as they celebrate the birth of our Savior and spend precious time with friends and family, including their five children ages 10, 9, 6, 4 and 3. The Smith home is Acadianstyle showcasing a mixture of wood and brick throughout. A spacious hall, windows with a view of the back, and the courtyard off the dining area amplify the space. 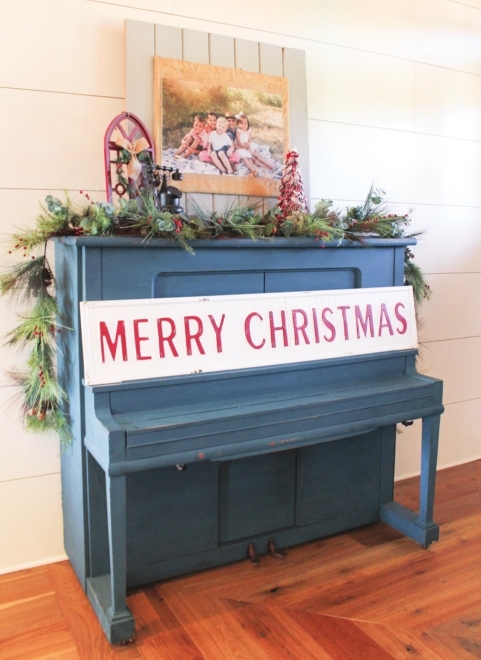 The family Christmas decorations are traditional with a mixture of colors and styles and an accumulation of favorite treasures and keepsakes from years past. “We chose this (Oak Alley) neighborhood because of the location and the people, some of whom we already knew. The house was built in 2005 so we have completed some updating, and it is still a work in progress. All of our children and grandchildren live in the area, and this home has been nice for dinners with family and friends. Christmas is my favorite time of the year, and we are happy to share our home on this day,” Kitty says. Stop by and enjoy their hospitality and share Christmas traditions. Jay and Lorena Chaney will welcome you into their home in Willow Lake subdivision, located off of Airline Drive. “We love our home and the very strong camaraderie with our friends and neighbors, which is very important to us. We can’t wait to share it with our Quota Club guests,” Lorena said. The floor plan is open and airy with tall ceilings with lots of mirrors and glass. “We describe our home as a combination of traditional and French country with a lot of Christmas spirit sprinkled throughout,” Lorena states. The living room features renaissance art work, and the custom kitchen has an 18-foot granite island that provides endless entertainment for family and friends. The sunroom displays a champagne Christmas tree with lots of glistening snowflakes and icicles throughout. “When I think of Christmas, I think of a season full of traditions. I grew up in a household where we shared many traditions around the holidays from my grandmother’s amazing sugar cookies, homemade chocolates and decorating the tree while watching the iconic movie ‘The Christmas Story.’” They have continued many of those traditions and have added even more with their two children, Camden, 15, and 5-year-old Chandler. Welcome to Richard and Pam Burnside’s craftsman-style family home. They began their journey of building their custom home so that they could accommodate family and friends and to create wonderful and cherished memories. With a family legacy of construction, they were always inspired by the look, design and style of a craftsman-style home. “We designed our home with arches, beams, columns and custom trim, along with an open floor plan to make family gatherings enjoyable and comfortable,” Pam said. Some of their memorable moments have been birthday parties for grandchildren, baby showers, holiday gatherings. The kitchen was a must for large family dinners. The Crossing at Wemple (between Airline Drive and Benton Road) is where Rosemary Patterson and her daughter, Peggy, have settled in their 2,200-square-foot home. It is perfect for family dinners or a neighborhood coffee. Fresh greenery and crystal vases are favorite Christmas decorations, along with a collection of musical snow globes. The tree is adorned with 18 Louisiana Mansion Foundation ornaments and two White House ornaments from the White House Restoration Fund. Needlework by Rosemary’s mother 70 years ago is framed, and gifts from her mother-in-law 60 years ago include a handmade, vintage ceramic tree and a framed needlepoint Christmas scene. These hold places of honor in the home. Stop by for coffee, hot spiced cider and Christmas cookies.